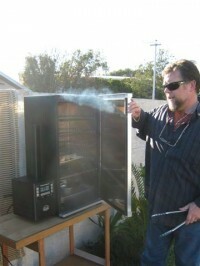 BRADLEY LIFESTYLE COMPETITION TO WIN A BRADLEY 4 RACK DIGITAL SMOKER. Congratulations to Wilhem Lubbe our lucky Cape Town Good Food and Wine Show winner. Well done Wilhem and Wecome to the Bradley lifestyle!